Uden, Netherlands - 12/8/2001: I used to live close to a military air base and at night (not every night, but when I did hear it, it was always around 2-3am) I would hear these sounds. They would last about 15-20 minutes and I can only described them as 'Close Encounter' sounds... you know like the 'communication tones' they have in the film? The first night I didn't think much of it, as I thought I had just had one of those 'you dream you are awake, but you're not'-dreams. But then I heard it more often. It really freaked me out as I lived on my own at the time and I really started to doubt my own sanity as far as that I really started to think it might be UFOs, because I could ONLY hear the tones, but no 'air plane engine' sound to go with it. I told my boyfriend (now husband) about it, and when he spend the night we agreed I would wake him up if I heard it again. I am sure he thought that when he heard it he would be able to reassure me easily and explain what it was... but, when I did wake him up, even he seemed a bit freaked, although I could tell he was trying not to let on. So... we got up and got dressed and went outside to see where it was coming from (I hadn't had the courage to do anything more than look out of my bedroom window before). We walked around for quite some time, and both agreed the sound was coming from the sky, but he also couldn't hear engine noises... The noise went away almost as soon as we started walking around outside (which was odd as it normally lasted much longer on other nights, so I was a bit disappointed as it kept us from finding where the sound came from) after about 10-15 minutes we decided to go back home and to bed. It crossed my mind that one of my neighbours could be pranking... but realistically the sounds were too loud and clear (i.e. 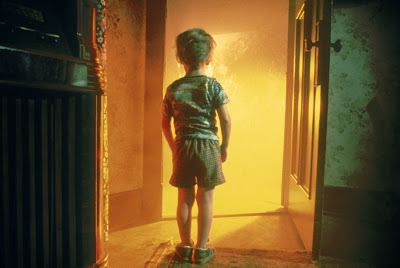 not muffled by walls, unless they had a huge open window or where outside themselves) for it, and my partner also agreed the sounds seemed to be coming from the sky rather than a nearby building. The airbase I lived close to is Volkel Airbase. This is a Dutch airbase, BUT it has Americans stationed there to look after the nukes. (This is not publicly admitted to by the government but common knowledge among locals AND former Dutch Prime Minister Ruud Lubbers recently publicly admitted to this - possibly by accident). I also know they have/had AWACS there. So in the end we decided that it must have been the AWACS radar making the sound when it's flying at night. Still, after all this time I am not 100% convinced this is true though. Is it? Does an AWACS make 'close encounter' tone noises when engaging it's radar at night? Or maybe even another 'silent' military airplane we haven't heard about yet? BTW, I do know what an owl sounds like, and a fox or whatever... but this was definitely not an 'natural' sound. If you would have said my neighbour was playing his keyboard very loudly in the middle of night you would be closer... (but not quite). All this happened at the end of 2001/beginning of 2002 (I heard it on at least 3 separate occasions, probably more but I know it was at least twice before I mentioned it to my boyfriend.) I have been trying to find out what it was off and on ever since. Since 2010-11 more weird sounds seem to have been heard by people around the world, but going through the videos on YouTube, none of them really seem to hit the mark, as most of those seem to be a hum or metallic sound. I thought that if it was military experimental planes I would have heard about it by now, but... nothing so far. But maybe you might know something that the general public don't know yet. If so, I'd love to hear your take on this. By sequencing the genomes of 2,636 Icelanders — the largest set ever obtained from a single population — researchers were able to identify that genetic mutations play a role in everything from Alzheimer’s disease to liver disease. The Icelandic data also suggest that humanity’s most recent common male ancestor, the "father" of us all, would have lived between 174,000 and 321,000 years ago. "What we have is a fairly detailed insight into the sequence of the genome of an entire nation," says Kari Stefansson, a neurologist and co-author of four studies published in Nature Genetics today. He's also the CEO of biopharmaceutical company deCode, which partly funded the work. "This is a reasonably large step toward understanding how human diversity is dictated by diversity in the sequence of DNA." The estimate for the most recent common male ancestor contradicts some past findings. A 2013 study from the University of Arizona estimated that the age of the father of all humans is about 340,000 years old. But the Icelandic analysis indicates he probably lived about 239,000 years ago — a number that’s much closer to the estimate for humanity’s most recent common female ancestor, who lived about 200,000 years ago. "[Humans] are curious about where we came from, and how we became the way we are," says Agnar Helgason, a genetic anthropologist at the University of Iceland and a co-author of the common ancestor study published today. "And this gives us a bit more information about when." From an evolutionary standpoint, older species have more time to develop mutations that differentiate individuals, or populations, from one another. That means the age of the human species is also related to how diverse humans are as a whole. Scientists also used the Icelandic data to identify 8,000 Icelanders who have a least one gene that’s completely mute, meaning that it doesn’t function at all. Genes associated with people's sense of smell were muted most often, but the researchers found 1,171 silenced genes overall. "We now have an insight into [human silenced genes] — how frequently do you encounter individuals who have all variants of a gene knocked out." That number is about 7.7 percent of Icelanders, Stefansson says. The size of these studies is impressive. But that doesn’t mean that they were perfectly designed. The people whose genomes were used in the muted gene paper, for instance, were taken from past disease studies, says Andrew Allen, a geneticist at Duke University who didn’t take part in the studies. This means that the "sample studied is not exactly healthy, is somewhat opportunistic, and probably doesn’t correspond to any ‘real’ population." Moreover, the "Icelandic population has a rather unusual demographic history," Allen says. The country is relatively isolated, with just 320,000 inhabitants. Their ancestors had little contact with outsiders until recently. This makes it hard to evaluate whether the findings are related to some kind of selection process for genes that enhanced human survival over time, or something else, like the size of the Icelandic population. Stefansson says that the results should still be representative of people in other areas, however. "The Icelandic population doesn’t meet any of the criteria for inbreeding," he says. "The 7.7 percent is likely to be similar in other populations." Still, the study could yield helpful information about the location of genes that might be less susceptible to this loss of function, Allen says. And even larger studies of this type will go a long way toward figuring out the genetic patterns at finer scales and validating the findings. On this episode, Sean and Lon discuss recent sightings of the "Lakeview Lycan" sighting from Denver, Co. They also touch on recent Bigfoot activity reported in Northern Pennsylvania. 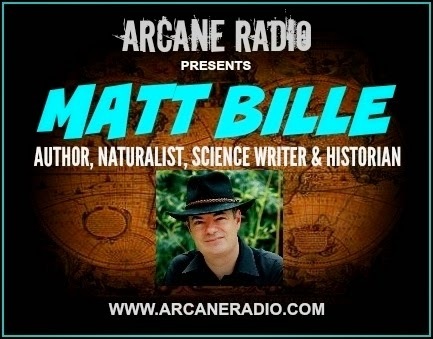 Author and Cryptozoologist Matt Bille stops by for a chat discussing his new work of fiction, "The Dolman". Matt Bille is an author in Colorado Springs, Colorado. He is also a naturalist, historian, science writer, and defense consultant. A former Air Force officer, he is the author of over 20 technical publications and articles on space-related topics. He is the lead author of the NASA-published history The First Space Race: Launching the World’s First Satellites (2004), a groundbreaking account of the early Space Age. He wrote two books on the world’s rarest and least-known animals, Rumors of Existence (1995) and Shadows of Existence (2004), and is working on his third, tentatively titled Seas, Sharks, and Serpents. He has been a freelance contributor to reference books including Grzimek’s Animal Life Encyclopedia and the Nature Yearbook of Science & Technology. He is a member of the National Association of Science Writers and is a member of the History Committee of the American Astronautical Society. He appeared on two television programs on mystery animals and blogs on the latest science and technology news at Matt's Sci/Tech Blog.